I didn’t quite know what to expect when I was asked to serve as “tour guide” for descendants of Dennis Sheedy during a recent visit to Denver. By no means a historian, I was a bit nervous. 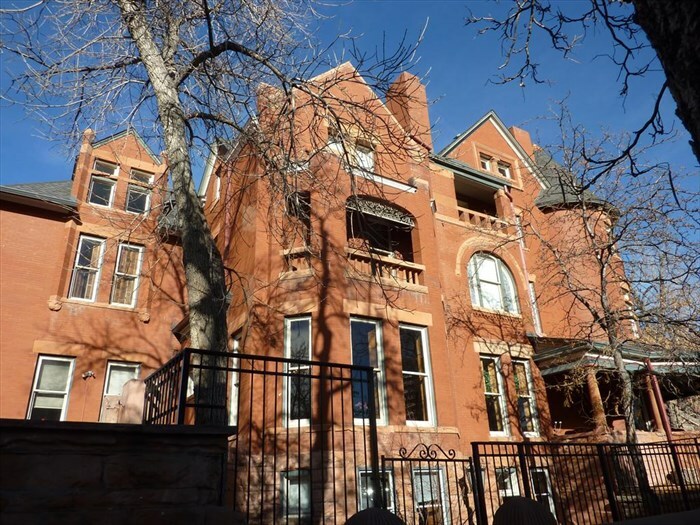 Heck…I’d only been working at Unbridled for a month, with just a brief overview of the “story behind the man and his mansion.” Beyond that, I knew close to nothing about the 125-year-old historic landmark the Unbridled community now stewards. Would they expect me to bubble over with fascinating facts about their ancestor? Would they grill me for details on every nook and cranny of the imposing structure? Would they approve of the restoration of their namesake’s home? In town for a family funeral, our guests had asked if they could see the restored “mansion” and drop off a gift. I was amazed by their desire to give in the midst of losing a loved one. I remember thinking to myself…this generosity of heart must run in their family. I knew in my own heart that I was being touched by Dennis Sheedy’s legacy of radical generosity expressed through his descendants. During the tour, they were the ones who bubbled over with fascinating facts, experiences, and insights, while also conveying immense gratitude that the original beauty of the home had been recovered after all these years. My curiosity was so stirred by their desire to stay connected with their roots, I couldn’t help digging deeper into other branches of their family tree. And, as fate would have it, I learned that these fine folks just happen to live in the same small town as my mother. But wait, there’s more. They also just happen to have the same last name as her mother’s maiden name. You just cannot make this stuff up. The very people I was nervous to meet are very likely my distant cousins! The gift was a sterling silver charger engraved with Dennis Sheedy’s initials. A lovely reminder of the mansion’s glory days that belonged to the master of the house himself. A priceless heirloom his descendants were incredibly pleased to gift to the Unbridled community. 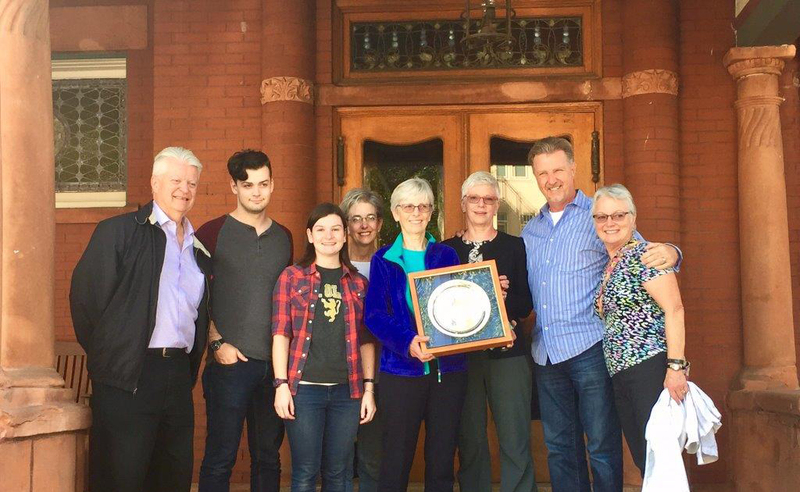 Mounted by their son in a beautifully hand-crafted shadow box, this treasure is now on prominent display in the Dining Room where Mr. and Mrs. Sheedy entertained guests. 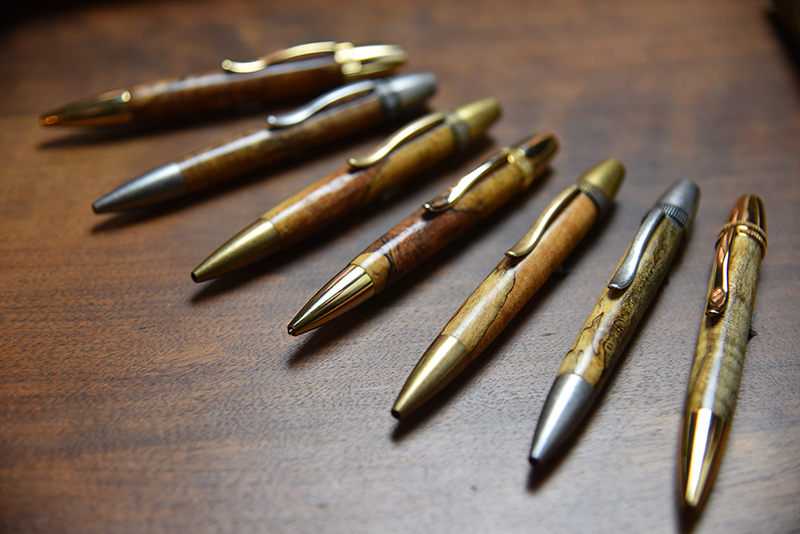 In turn, Stan presented each family member with a custom crafted pen, fashioned by our good friend, Ray Hughes, at Red River Turning Company, from wood used during construction of the home in 1892. It was a timely exchange of gifts, marking the 125th anniversary of this significant Denver landmark. From the vantage point of “the new girl” at the front desk, I sensed that I was experiencing, through his family, just how kind, animated, humble, and appreciative Dennis Sheedy must have been. They left me with overwhelming sentiments of gratitude, awe, and joy when the visit ended…knowing that it was the beginning of new relationships, possibly from my own family roots. What a unique, lively, incredibly gracious legacy we have as stewards of this historic mansion. And what a gift to be surrounded by people who inspire each of us to “honor the past, write the future, and leave a legacy” of our own. Our thanks to Maddie Gibson — “the new girl at the front desk” — for her recollections of this touching reunion, the fresh perspective she brings to the Sheedy story, and the unique part she plays in writing the future of our Unbridled community.